Bees, how wonderful are they! I think it is no secret by now that I love honey and products that contain it, Bee Inspired are the most recent brand to pop up on my radar and they make a selection of skincare products containing honey as one of the star ingredients alongside a range of plant oils and essential oils. All the products are free from mineral oils, parabens, SLS and SLES, all of the ingredients are listed on the site and they also have a very useful Ingredients page which is very helpful especially if you are new to reading ingredients lists as it tells you all the names in latin and English. I really love the name of the brand, I find bee’s to be very inspiring creatures so it seems a very fitting name for a brand who champions bees to have. I was sent three of their creams in a beautiful gift box to try, the products themselves come in simple jars with the branded labels, I thought the gift box was a lovely touch and would definitely make a beautiful gift for someone. The products themselves are all very well priced and the body cream especially feels like great value for money as you get a lot of product in the jar. All the creams contain honey and beeswax alongside some lovely moisturising ingredients such as cocoa butter, sweet almond oil and castor oil. My favourite thing about all of these creams is that they are really silky and smooth and all very easily absorbed, if you are in the market for nourishing and non-greasy creams which are affordable I have to say I would recommend these highly. Fab face cream with jasmine and rose* (£12.50 for 50 mls) Is a simple moisturiser that smells beautifully of Jasmine and Rose, it leaves the skin soft and supple and is easily absorbed. If you like your skincare to be simple and uncomplicated but also pleasurable to use then this cream will be for you, with just a handful of ingredients this does what it says on the tin and it does it well especially for the price point. If you have sensitive skin they also do an unscented version which is great to see for a small brand, not everyone can tolerate essential oils so unscented options are definitely a really positive addition in my eyes. I adore the scent of this cream and if you love floral scents then it is a lovely product. Orange and geranium body cream* (£12.50 for 200 mls) Just like the face cream is easily absorbed and very smooth in texture, I really enjoyed the combination of the geranium and the orange in this product it is fresh and slightly earthy very pleasant. Apart from adding a balm for the heavy duty areas like my elbows and knees this cream has been doing a brilliant job at keeping my skin soft and flake free, you can dress straight away afterwards and is a pleasure to use. This has gone straight to my repurchase list, it is great value for money and after weeks of use I have barely made a dent in the pot! Jasmine silky hand cream* (£12.50 for 100 mls) Lives up to it’s name and is rich but also instantly absorbed, if I am honest the formula of these creams all seem very similar with subtle variations so they could probably be multi-purpose if you didn’t want to buy a different hand a body cream you could get away with just one. The hand cream feels slightly thicker than the body cream but only slightly, it leaves a beautiful scent on the hands and you can really feel the change in softness to the skin. 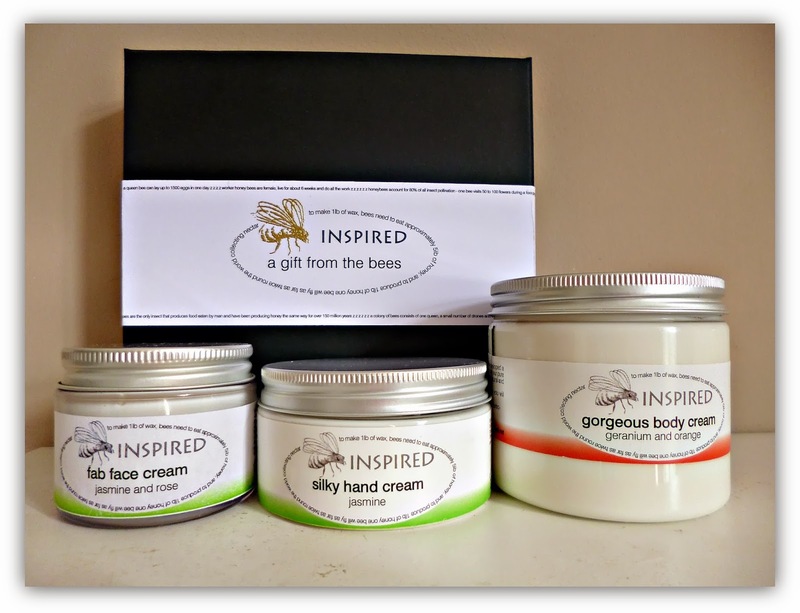 If you love handmade brands and especially skincare with the added benefits of honey then Bee Inspired is a lovely brand to try out, nice products and affordable prices. This lovely brand is another example of one of the many self-sufficient artisan companies we have here in sunny Britain that really deserves to be supported and celebrated. Alison Derick and Diane have their own beehives which they have been keeping for over 20 years(!) in Surrey, where they hand-make all their luxurious creams for the face, hand and body. Their brand Bee Inspired has a very ethos; Less is more which I think we can all use as a great starting point when it comes to our beauty routine and the products we use. I really love this lovely duos enthusiasm and passion they have for their job – it’s really refreshing to see especially when they create such lovely products. They have embraced the amazing properties of beeswax and honey, combined them with a few beneficial natural ingredients per product requirement to create a fantastic range of products which can all be found on their website, from beauty products to leather cleansing products and home fragrances. 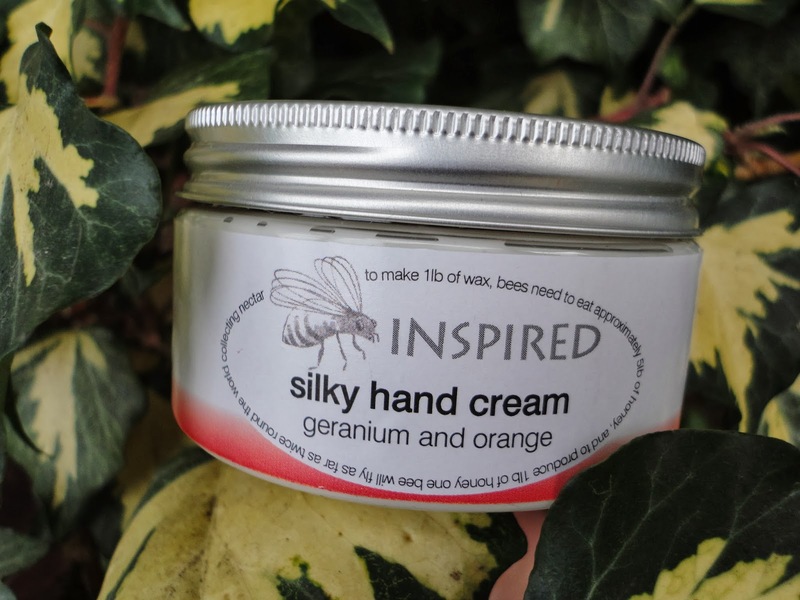 Bee Inspired Geranium & Orange Silky Hand Cream £12.50 100mls – this is a super-rich all natural hand cream containing their lovely beeswax and honey and one of my favourite scents of all time – geranium. 🙂 It’s a lovely hand cream and I have been using it since I got it. The scent is very delicate and subtle, and not overpowering in the slightest. The texture is like that of a very airy whipped foundation (that’s the only thing I can think to compare it to, lol) it’s so light, your skin literally drinks it all up leaving your skin wonderfully hydrated. 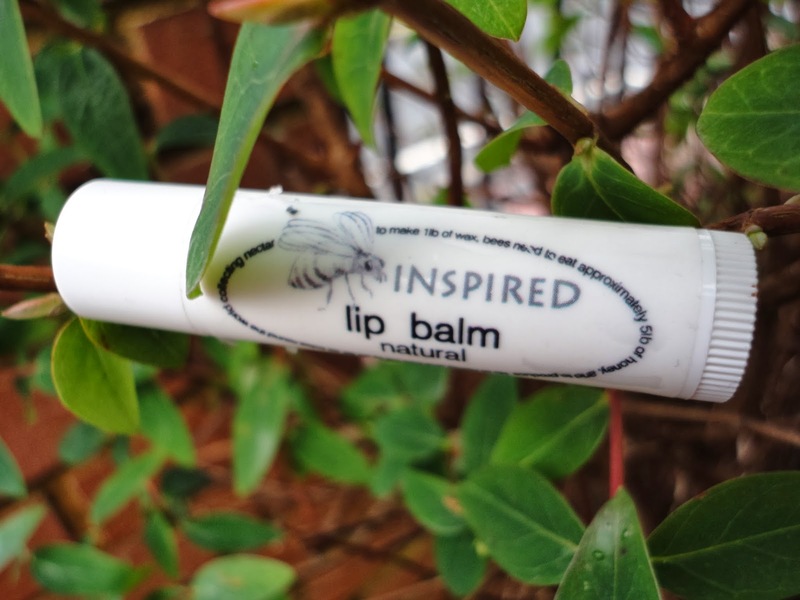 Bee Inspired Lip Balm Twist Stick £3.50 5mls – this is possibly the softest lip balm stick I’ve used for a while; it works to nourish and revive dry lips. There are only 3 ingredients in this balm – Sweet Almond oil, Beeswax and Vitamin E oil. 🙂 It’s been a while since I used a balm in a stick form, so it’s been a nice change and it’s the perfect size to pop in my handbag and pocket alike. On days when I don’t wear makeup, I always make sure my lips are nicely hydrated and protected with a good lip balm. That good lip balm has been this beauty. It’s not a waxy texture, it’s quite light yet super moisturising, and doesn’t have any fragrance to it.